Thank you all for your care, concern and support of the NTA. 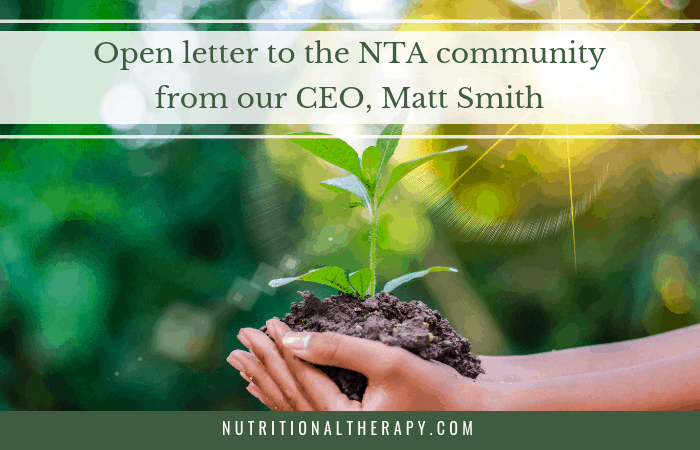 We are grateful for your commitment to the long-term success of the organization and share in your desire to solidify NTA’s place at the forefront of healing the world. This is a huge pledge, and we take this responsibility seriously. Through your dedication and passion, we’ve experienced exponential growth. With growth, we’ve identified the immediate need to build the structure, communication channels, and resources to support that level of success. To address this, since July 2018, our team has worked to fortify the infrastructure to support you and preserve the heart of the NTA for the long term. The NTA staff and community at large have also faced significant challenges over the past 16 months. Sadness, pain, and trauma as a result of events that took place, affected us all. Some of you are still grieving or healing. Experiencing a quantum change in a short period of time is not easy. The dismissal of a long-time instructor and transitions in organizational leadership caused friction and confusion throughout the NTA community. It was the hardest year emotionally, physically, even spiritually, that I’ve personally ever experienced. I’m sure the same rings true for many of you. Still, there is a gift in adversity and pain. It brings clarity. Our team is crystal clear about our direction and we believe that the NTA is on a trajectory to take our vision of healing the world to a whole new level of impact moving forward. We intentionally chose to wait to update you about what’s been happening until we had the full picture of where we are headed. Because big structural changes would impact us all, we felt strongly that we needed positive action, to back our words. Words without action are cheap. Below we’ve outlined the roadmap for the roles of who leads us, what our team is accountable for, where we are going and how we can work together to get there. The governance and leadership structure for the organization has been a primary focus. As you may know, NTA is a Special Purpose Corporation with the majority shareholders being the Graham Family. The shareholders, by NTA bylaws, maintain the right to a final vote as to who serves on the board of directors, but have delegated authority for governing the organization to this elected board of directors. The governing board defines who is to be served and what product, service or value is to be delivered by the organization. Protecting policies establish operational boundaries to be respected by the Chief Executive Officer and staff. These commonly include risk management, fiduciary integrity and human resource management. Enabling policies define to whom the organization is responsible and establish procedures and guidelines that inform and unite the board, staff and organization in their work. As announced in October, Gray Graham chose to move out of his role as the chair of the board as he saw a need for a new era of leadership and had complete confidence in the NTA board and leadership team. The remaining board members, Joanell Tylor (NTP) and Dusty Lapp (NTP) hired Sharon Heinlen as a governance consultant. In November, the board met with Sharon and voted unanimously to retain her as the Chairperson of the board. An e-mail introduction of Sharon went out on February 15th where you can read her full bio and qualifications. The board is committed to be a true, collaborative partner in leading the NTA into the future. The board has already implemented a skills-based process to actively recruit new board members to further strengthen and support our organizational governance. The first of which is Miriam Zacharias, NTC who was appointed this week. Reporting to the board, the executive leadership team is responsible management of the NTA. Over the last six months, this team has worked to establish a pluralistic form of leadership decision making to ensure all relevant voices are heard. You can check out more detailed information on their roles and qualifications of the team here. I am honored and humbled to work with this talented team of strong women. I am committed to serving and to creating an inclusive environment for the diverse voices of our community and organization. I can’t say enough just how excited I am for the NTA to have the leadership team and board members currently in place! Each person contributes a unique skill set for their role, and shares a passion for our mission, heart and integrity. Once you get to know us, and I hope you take the time to do so, you will better know the heart that guides this organization and our commitment to building a safe, healthy community. Accountability is another big focus for the organization this year. 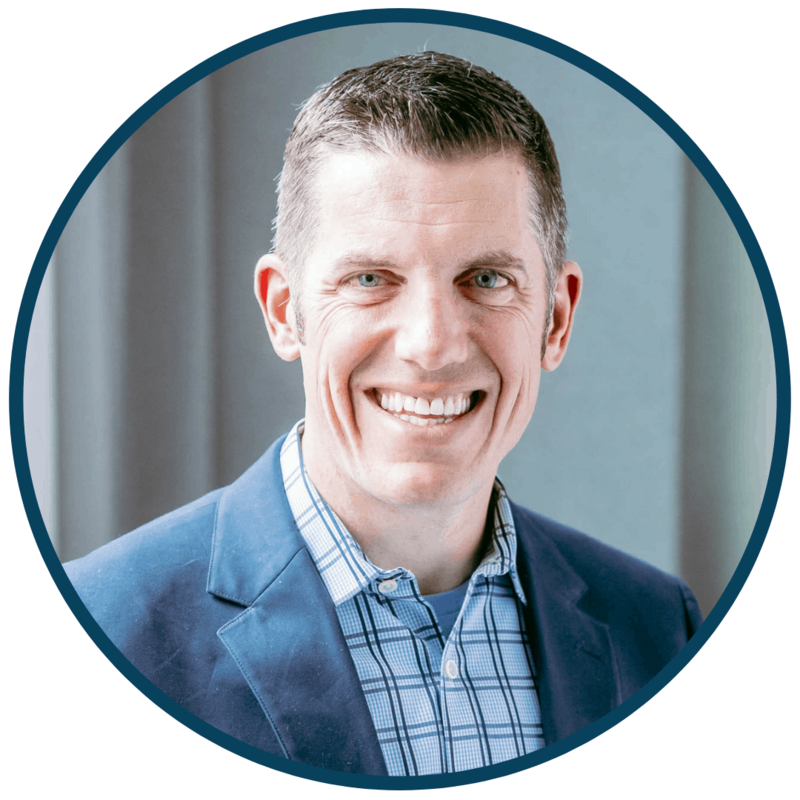 I define accountability as taking ownership for your work and contribution to measurable results tied to mission, for supporting others on your team by providing constructive feedback and sharing the best of who you are with the organization. To be truly accountable for the accomplishment of our mission, it’s vital we all know the direction of the organization, how we work together and what our unique contribution can be. The leadership team has been working on a long-term vision and three-year strategic plan for the organization. We will share more about the vision and direction throughout the year. + Enhance CORE program curricular offerings utilizing the NTA’s blend of contemporary research, proven practice, and ancestral wisdom. + Engage and support the alumni and practitioner community. + Develop systems and structures that support a unified team. + Invest in the future with long term financial analysis and decision making. This is a rebuilding year; the focus on these pillars allows us to reinforce the initial foundation upon which NTA was built, ensuring health for us as an organization and nourishing the culture and our community for the long term. Where might you lend support, talent or wisdom to help us see these pillars become reality? As stakeholders in the NTA’s success, we greatly welcome your contributions! + Using e-mail versus social media as the primary channel of communications with the alumni community. + Establishment of an NTA-hosted, member access only, forum that will be hosted on the NTA website vs. on social media platforms (i.e. Facebook) (launching soon). + Clear communications policies for all levels of the organization, including those for social media and communications with the NTA community. + Reporting of inappropriate communication by NTA staff and representatives directly to Tyana Owings, Director of People and Culture, and addressed by the leadership team, ensuring compliance with legislation governing public institutions of learning. + Regular sharing of alumni successes, organizational successes and important updates. + Open door policy for the CEO & Leadership Team for alumni. I am always available to meet with you. To lead in healing the world is to be the light for others I believe with all my heart that constructive feedback, not criticism, is the power source that allows our light to burn brightly and with positive intention… without anyone getting hurt in the process. Help us by using these same channels of professional communication; continue to offer constructive feedback that will help us make the NTA and our profession stronger. Together, our honest and transparent approach with one another ensures our light never fades. We know that we have the right people in our community to propel the organization into the future. Yet there’s more we can accomplish by tapping into your collective wisdom, talents, and passion. Our efforts to solidify the organizational structure, operating procedures and holding each other accountable for results will steward an organization with integrity, one based on shared values and trust. Our team is still working on the “how and when” but we will have multiple opportunities for alumni to have a voice in the future of the NTA. These may include the opportunity to serve on an Alumni Development Council, Curriculum Advisory Council or Conference Planning Council. Our Community Manager will also be reaching out with opportunities to moderate forums, contribute published work to be shared with the community and convene regional small groups. It’s never a good idea to drive a car while looking into the rear-view mirror! It’s now time to be laser-focused on the view through our front windshield, leaving the past behind us, while honoring the road that got us here. There will be more mountains to climb and potholes in the road ahead but, I am confident that together we can get through any challenges that arise. I ask that you renew your commitment to the NTA, to this band of butter eating rebels, and not let anything get in your way to help heal the world. I look forward to connecting with you personally, hearing your ideas, thoughts and hearts. Thank you for your commitment to the NTA and for joining us on this journey. It’s going to be a great ride. 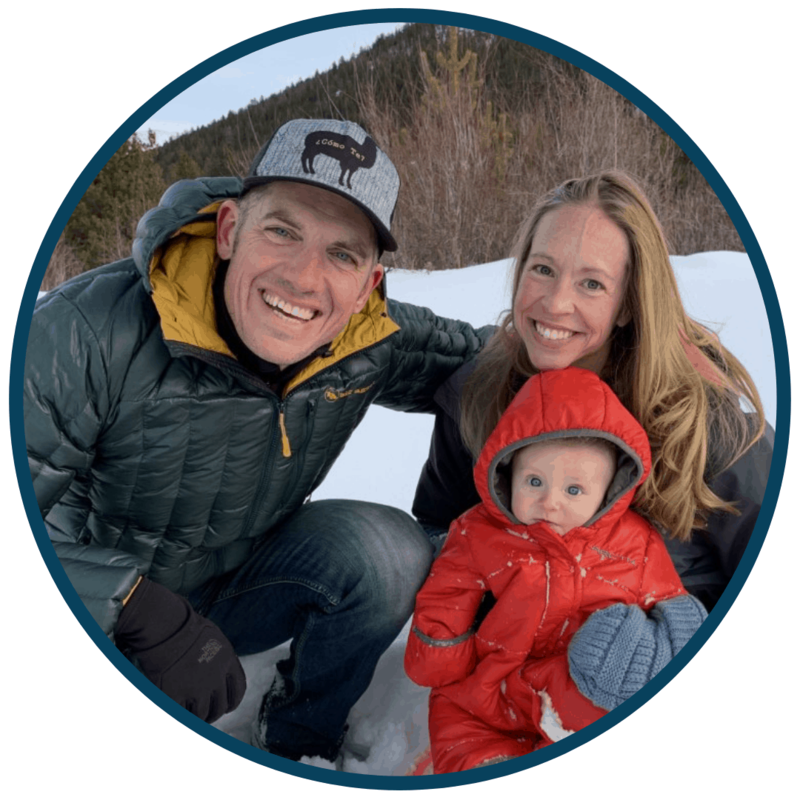 Want to learn more about Matt? Read this article.